Thanks for pointing out this new information, Shelley! I just found my paternal grandmother's birth record! That's wonderful, Dorene! Don't you love it when you can fill in those missing blanks? I had success with this database right off the bat, too, so I'm glad to hear about your finds, Diana. No doubt about it, digital images beat a card index any day! Thanks for a very useful post! I took a quick browse in Licking County and found another wrinkle: on a register page of births for 1888 and 1889, there were three "outlanders" -- babies born in Knox, Clark, and Pike counties too! I don't have time to follow this up right now but it would be interesting to know how common this is, how they are indexed, and whether they also appear in their native counties . . .
That's an puzzling situation, Harold, and it would be interesting to find out. I've actually run into that with two of my families--including one from Licking County. The family lived near the county line, and best as I can figure it, the doctor recorded the birth in the courthouse he was closest to, which was not their county. The other one I'm still not sure about, although I have a theory. Maybe fodder for another blog post? Shelley, I heartily agree with your recommendation to try browsing the records. While it may seem time consuming, there is a system to their organization. I've found some records rather quickly, even though the file was not yet indexed. 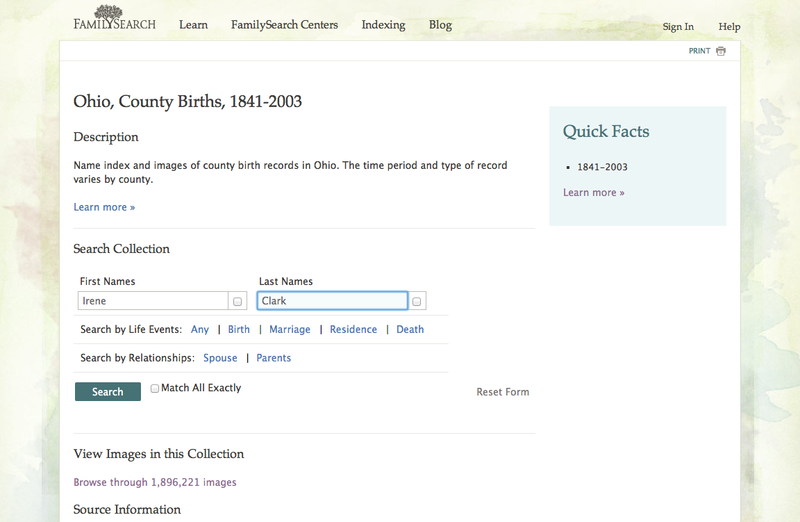 It's certainly worth a try, if it yields the missing documents for an Ohio ancestor. For the most part that's been my experience too, Jacqi. it's not as time consuming as it might sound. I like to remind myself that it would take just as long, or longer, to go through a roll of microfilm looking for something. Besides, like you said, the payoff is worth it if you find what you're looking for. 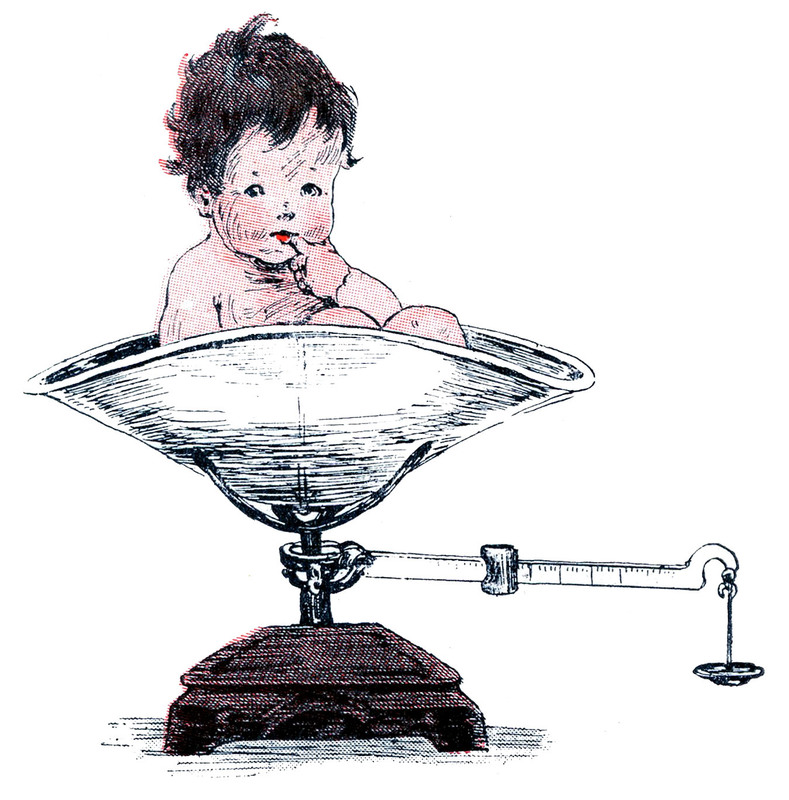 You inspired me to compose a blog post on my finding at Ohio, County Births. It will go live tomorrow. Thanks so much for the inspiration! I can't wait to read it, Dorene! Thanks for letting me know. 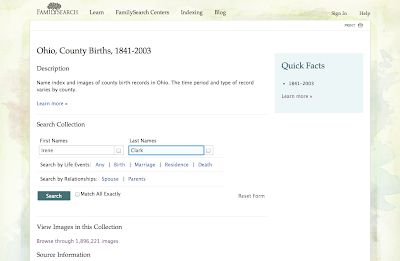 Not only will this help people researching in Ohio--and I wish my ancestors were from there, since so many of my Twitter friends are there!--it has helped me with several common-sense observations about how to use FamilySearch. I think I'm going to those Rootsonomy training sessions, because too often I get stuck with FamilySearch. I'm happier with Ancestry. But must extend skills! Thank you for this post, Shelley.